Stringsong is officially back! We were on hiatus for most of 2017 due to Cheryl’s broken shoulder and subsequent surgery. Starting 2018 strong with worship/concert in Oakland, CA in March; local performances now in Chicago, IL; and touring to Southern California (San Diego and LA) in August. California seems to be our destination this year. Who would have thought it? Our hearts’ desire is that God move the hearts of those who hear the music we perform; and that they would be open to hearing the Lord’s leading in their lives. We can only suppose that God has placed us in California for this, as we would not have dreamed of this a year ago! High Tea in Chicago to Benefit Chicago Lights! High Tea at Metropolitan Club of Chicago, Willis Tower on Friday, July 29 was a beautiful benefit event for Chicago Lights! Exciting evening March 18, 2016 as Stringsong provided musical ambiance for Deer Creek Christian School’s Evening for Deer Creek dinner and auction of exquisite Lotton Art Glass! A big thanks to Emmanuel Christian Reformed Church for hosting the King of Love Vespers, and also to everyone who braved the weather to share in the evening with us. It was a truly blessed time! What is the King of Love Vespers? King of Love Vespers is a 50 minute worship experience of Scripture, art, music and prayer. In a setting where the focus is God and His Word, the format for worship is reflective and personal. 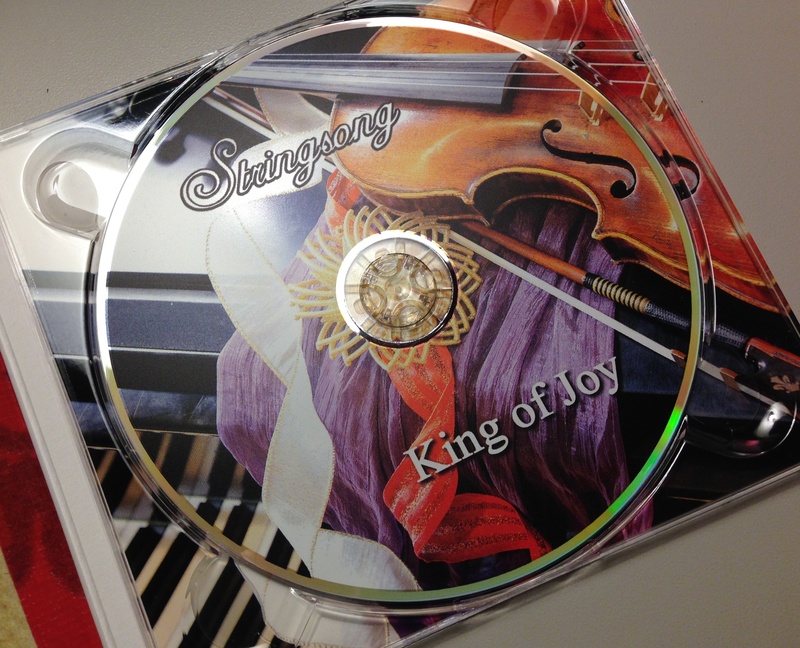 The nine hymn selections for violin and piano found on the King of Love CD by Stringsong are performed live, with original visual artwork projected during each piece. Worshipers have a devotional guide containing lyrics for each hymn and selected Scripture that is read aloud by a narrator before each selection. Various guiding questions and or statements included with each piece encourage participants to contemplate personal application of God’s Word. Following each hymn played, there is a prayer related to the focus of the hymn’s message. Reflection on Scripture and words of the hymns, enhanced through visual art and musical expression offer each worshiper time to ponder God’s love, provision and restoration. After the final selection, the Lord’s Prayer, worshipers are encouraged to leave the sanctuary in reverent silence and visit together in the narthex. Come experience the True King of Love—Jesus! Sunday, February 14, 2016 at 6:00 p.m. Reflection on Scripture and words of the hymns, enhanced through visual art and musical expression offer each worshiper time to ponder God’s love, provision and restoration. Stringsong is busy this week! 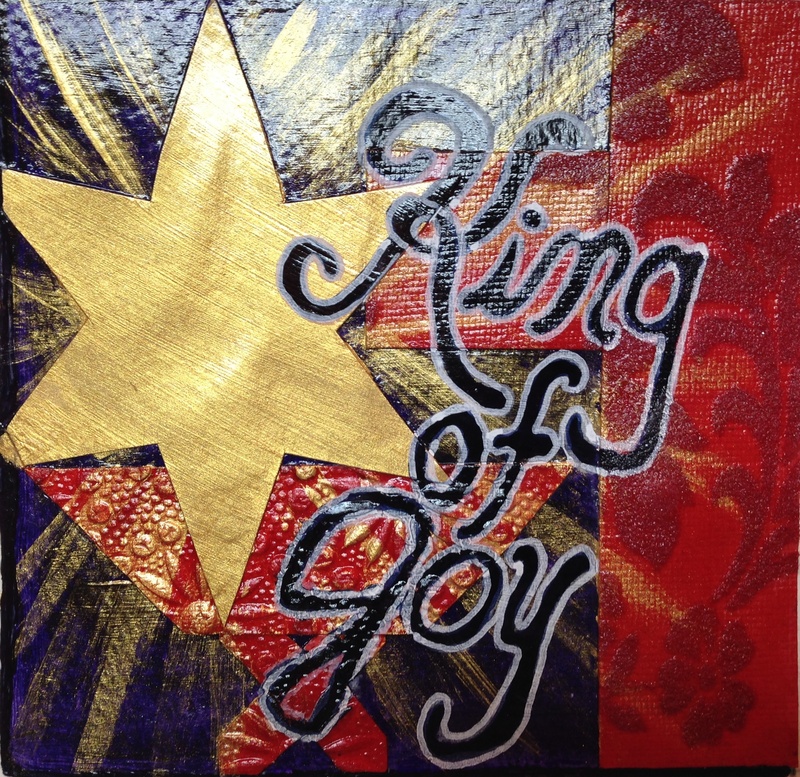 TODAY 12/10: King of Joy Christmas at First Presbyterian Church, Hammond, 7:00 p.m. All are welcome! Thanks to all who attended! SUNDAY 12/13: King of Joy Christmas at Emmanuel Christian Reformed Church, 22515 Torrence Avenue, Sauk Village, 6:00 p.m. All are welcome!